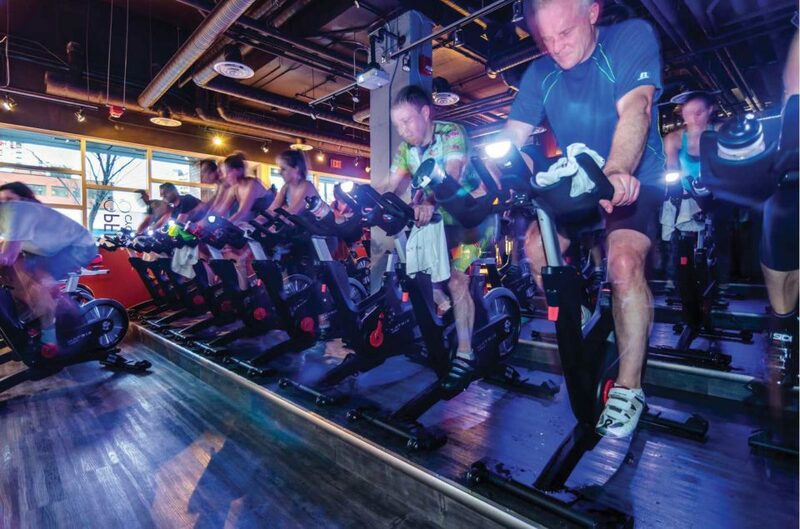 More than just a place to sweat, fitness studios and gyms are increasingly becoming places where members find a sense of community. After my husband died from cancer in June 2013, I hid at home for weeks, devastated and stunned. I couldn’t make eye contact with strangers or converse with anyone outside my inner circle. I cowered at the sounds of the Stampede outside, never more proudly rowdy than in those early post-flood days of 2013. Several weeks into my hermitage, I received a mass email inviting me to a free Stampede spin class at Peloton Cycling. It arrived as a relic from my old life; Spencer and I had been riding at Peloton for nearly a year before he got sick. The owner, instructors and other members knew what happened. Some had sent flowers and attended his funeral. These people I’d been sweating beside on stationary bikes — sometimes with my husband alongside me making quips about losing consciousness from effort — are my clan, even though most of them I never even see outside of the studio. I’m not sure I would even recognize some of them on the street without the sheen of 60 minutes’ worth of sweat. But in there, we’ve built a fellowship of people who encourage each other through the tougher moments in class and share stories of our lives outside the studio. We’re drawn there for the fun of pretend-racing each other up famous climbs of the Tour de France, but also for something more. So, I decided my first public outing after Spencer’s death would be spin. I needed humans around me in the kind of environment where my loss wasn’t the centre of attention. I needed to be part of a group doing something together, a collective experience entirely unrelated to cancer and death and grief. I arrived wearing dark sunglasses (I wore them everywhere those days as a kind of shield). Studio owner Martine Yzerman greeted me with a hug. We both kind of cried and shrugged; nothing more needed to be said. My sister Sarah was also along for the ride and she and I chose bikes at the back of the room. With a boom-boom version of Johnny Cash’s “Ring of Fire” bouncing off the walls, she leaned over and patted me on the back in support. “Just like they do in the Tour,” she said, which made me laugh. It was something like normalcy, even if it wasn’t. At their core, fitness studios and gyms are places for exercise, for pushing up the heart rate, for developing fast legs or pert booties or powerful right hooks under the guidance of a motivating instructor. But there’s also more to them than the promise of a good sweat. In many cases, fitness studios play key social roles in their members’ lives, offering a sense of belonging and a kinship with people they might not otherwise meet. Kaysi Fagan started boxing with Calgary legend Mike Miles nearly two decades ago. When she moved away for law school and later lived in different cities, she sought out boxing studios, looking for people with whom she could connect. “I always felt I had a touchstone, like a community that I could just plug into, because wherever you go in the world for a job, a jab is still a jab,a cross is still a cross. It’s that community aspect that led me to stick to it,” Fagan says. Today, Fagan is back in Calgary, a criminal defence lawyer and an instructor at Undrcard Boxing Studio (where she teaches under the name of Kay Slay). The open foyer at Undrcard has a 20-seat bar that serves coffee, juice and snacks, so members and drop-in clients can linger and chat outside of their classes, or just pop in and hang out even if they’re not doing a class. As the way we live has changed, so does the way we connect to people. We’re more likely to move away from where the places where we grew up, to live alone, to not have kids. We work longer hours and spend more time sitting at desks so our need for physical recreation has perhaps never been greater. Churches historically have served as centerpieces in our communities, where vital connections were built, but many of us are less likely to go to church than Canadians a few decades ago. In my five years of cycling at Peloton, I’ve watched friendships form, romantic relationships blossom, business connections be made, even lives change through fundraisers. But the smaller connections matter, too, like learning that the young woman who cycles in the same row as me is also a widow, or that the octogenarian in the afternoon class rode from Banff to Jasper 40 years ago with her girlfriends on their children’s single-speed bikes. Stacey Kolenick used to work out at home every day, plié-ing and squatting to barre DVDs. 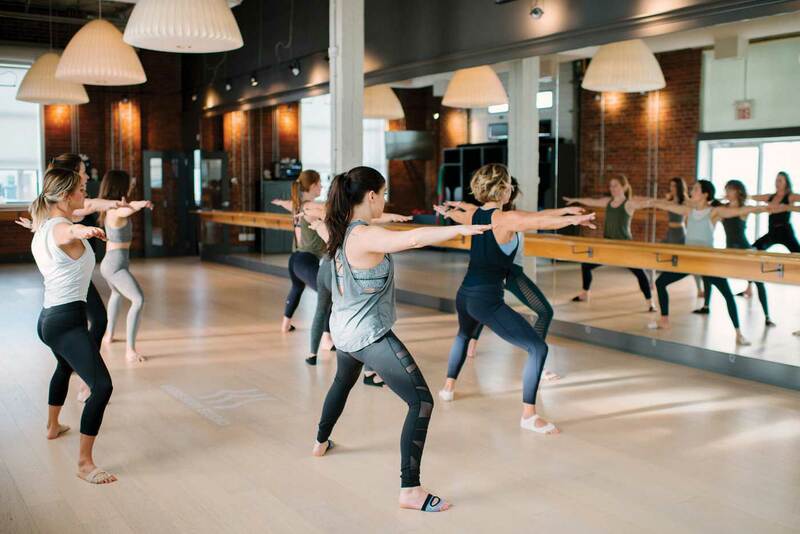 In 2013, Kolenick saw a notice that Barre Body Studio — the first barre studio in Calgary — would be opening in Ramsay and she decided to give studio classes a try. Recently, she attended her 1,000th class. 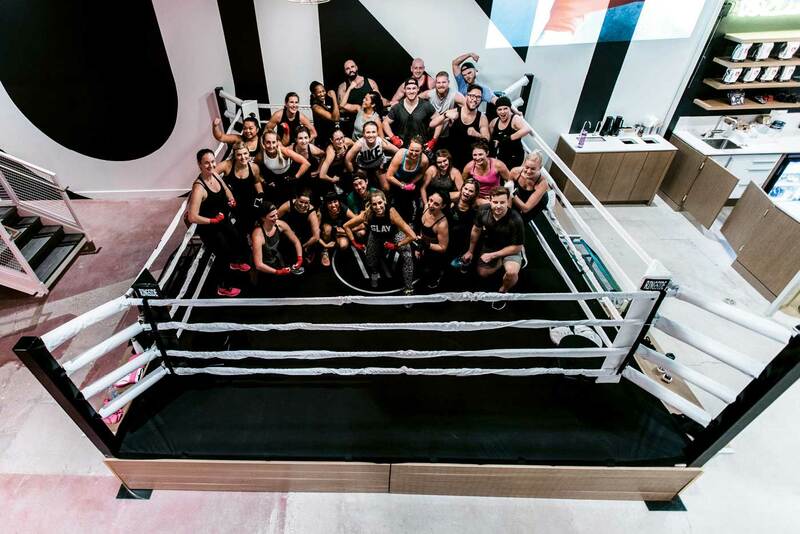 While friendships do form amongst the membership of large chain gyms as well, boutique fitness studios have an ethos that tends to be more community-focused. At traditional gyms, users attend on their own schedule. They can put in their headphones and train alone and leave without talking to anyone else if they choose. At a smaller studio with set class times, clients arrive and leave on the same timetable, chatting as they wait to start or dress to leave. They bond over enduring the same workout, be it CrossFitters cheering each other through their physically demanding WOD (workout of the day) or barre studio clients offering smiles of support to someone whose leg muscles start quivering uncontrollably from the effort. In a study done in the U.K., researchers looked at the importance of a sense of community in gyms, surveying clients of both a CrossFit gym and a traditional gym. They found CrossFit members felt a significantly greater sense of community and belonging compared with traditional gym members. Another U.K. study of the University of Oxford’s famed rowing team showed that exercising as a group releases a surge of endorphins in the brain, which, in this case, served to push up the rowers’ pain thresholds. At Junction 9 Yoga and Pilates studio in Inglewood, the foyer buzzes with laughter and conversation after a weekday noon-hour class. Having a space for people to hang out in before and after classes is just what co-owners and cousins-in-law Kailey and Jilaine Beddoe had in mind when they set up shop in the two-storey building just east of the Elbow River. Prior to starting Junction 9, the pair had often gone to yoga together and found they usually had to relocate to a café if they wanted to hang out and chat after class, as their conversation would typically be impeded by the rush of bodies coming and going at the studio. To prevent rushing their clients in and out of Junction 9, the duo opened a café that serves Phil & Sebastian coffee, tea, cold-pressed juice and kombucha on tap. “One of the things we really wanted was a sense of community,” says Kailey. 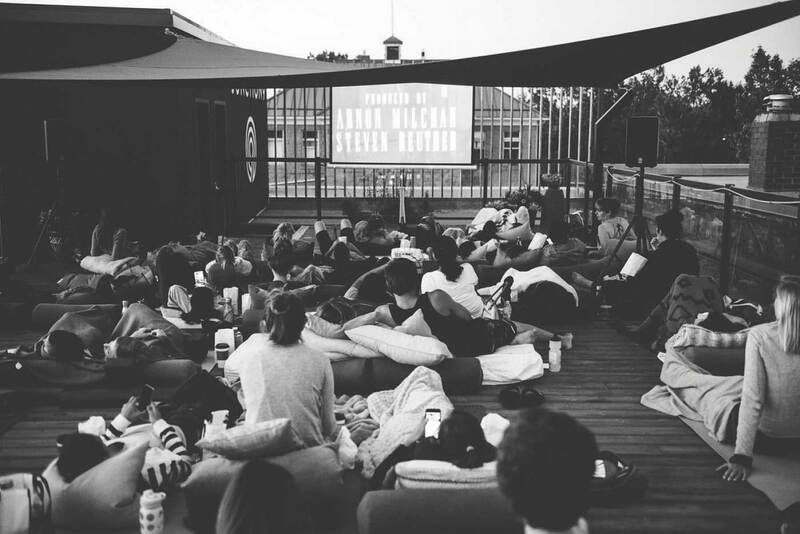 “We weren’t specifically advised to build a space for people to hang out in, but for our vision and values it was important. In the five years since my husband’s death, I’ve continued going to Peloton two or three times a week, give or take. The community there has organized fundraisers for me, celebrated birthdays with me. And someone usually notices when I’m not there, or when I’m having a particular tearful day, or when I’m struggling physically and can’t keep up. Someone notices. And that’s as big a draw as any physical benefits. This article appears in the February 2019 issue of Avenue Calgary.